There is a certain level of excitement and interest that is peaked when discussing skydiving. With the evolution of technology, scientists were able to construct a tunnel that mimics the sensations experienced during the freefall of skydiving. However, there are some similarities and differences to consider before making the decision to play it safe or go for the real deal. Indoor skydiving removes the “diving” aspect from skydiving as instead of exiting an airplane, you are entering a tube where the wind is vertically generated. There are no parachutes involved in wind tunnels. However, according to a skydiver, the most scenic part of the experience is the blissful flight under a colorful canopy. With wind tunnels, you miss out on spectacular views. On a clear day, skydiving visibility can range for miles. There is no rush of adrenaline among other little aspects that really make up the experience of skydiving such as the sense of accomplishment when your feet touch the ground again. Both experiences are fun! You are sure to have a smile on your face whether you are a mile above the Earth’s surface or in a tunnel firmly affixed to the ground! You have the ability to meet new people! When it comes to wind tunnels, there are obviously some very distinct differences and similarities. Ultimately, nothing will ever compare to the actual thrill that you experience when jumping out of a perfectly good airplane! Indoor wind tunnels can be a useful tool for mental preparation and building motivation. Many professionals also use tunnel time to practice for competitions. 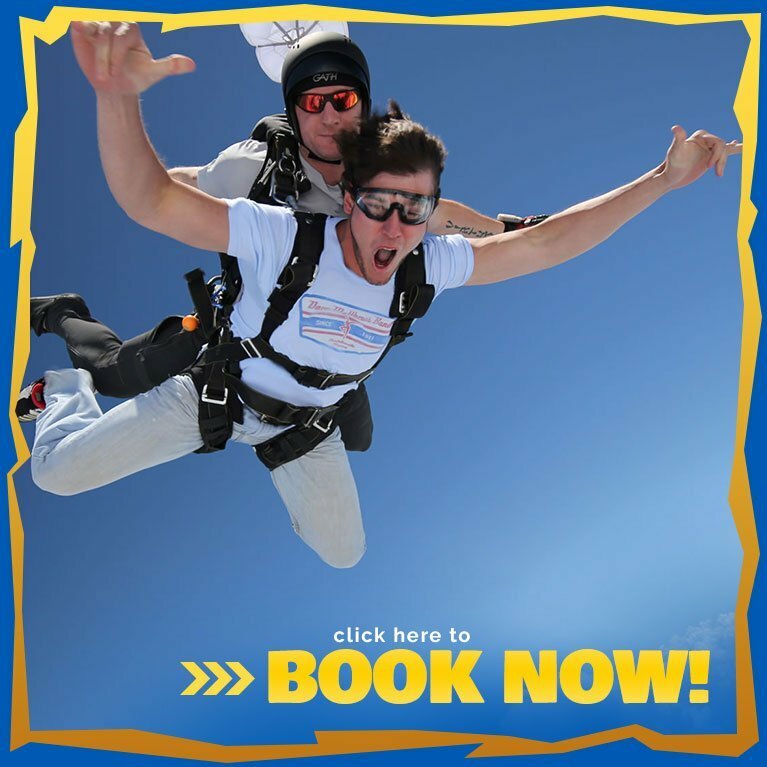 If you are ready for the real thing, book your exhilarating adventure with Skydive Georgia at 770-614-3483.